Wednesday night was the kickoff of the first Wearable Wednesday event in San Diego and featured an amazing panel to show how San Diego was inserting itself in the wearable space. If you think San Diego is just about sun, surf and Mexican food, think again. Forbes just last week ranked San Diego #1 for the best place to launch a startup, and this week one of the world’s largest companies, headquartered in San Diego, along with an innovative startup founder and a guy who wrote the book on the internet of things, showed up to the Wearable Wednesday event to show that San Diego knew something about wearable technology. I write a tech column for Voice of San Diego so I was asked to be the moderator. San Diego’s tech startup scene is gaining some real momentum. Wearable technology is a space that can do very well in San Diego for several strong reasons. One of these reasons is because of its proximity to Mexico and the ability to prototype products in a single day or week. Hard Tech Labs is opening up an accelerator that will take advantage of this and has a very big plan for success. The second reason is because it is a hub for sports related companies. One of the only sports innovation labs is here. And finally, wearables will thrive in San Diego because of UCSD and the enormous Bio Tech companies headquartered in this area. As far as the Wearable Wednesday event in San Diego, many of the topics that were covered discussed these strengths of San Diego. Josh Windmiller of Electrozyme discussed how his products were developed for triathletes and went beyond some of the devices like the Nike fit band. Everyone knows all the beautiful people are in San Diego, so it is the perfect place to develop wearable sports related products. Windmiller told the audience that he built some of his prototypes with 3D printers and showed off the goods. Qualcomm, who according to Bloomberg is the biggest provider of mobile phone chips, showed off its new smart watch called Qualcomm Toq. Jain, who said he was an entrepreneur in a large corporation, discussed how Qualcomm decided to go into the wearable space. “About 3 years ago Qualcomm wanted to look at what they viewed as the future of devices and wearable technology was it.” I told Jain that if he was an entrepreneur that he was one with a big budget. He tried to tell me that it wasn’t that big, but when pressed wouldn’t tell me the budget of the project. Obodovski, who had a very good grasp of the wearable ecosystem, talked about how different it would be than the cell phone ecosystem. Jain added that there can be such a large number of wearable devices that developing a platform that they all work on very difficult. With mobile app technology there are a small number of platforms. For platforms such as Android/Google Play with all the different devices it gets complicated. Jain went on say there is a very big opportunity for the company that establishes or consolidates this process. The discussion turned to the topic of privacy, security and data. 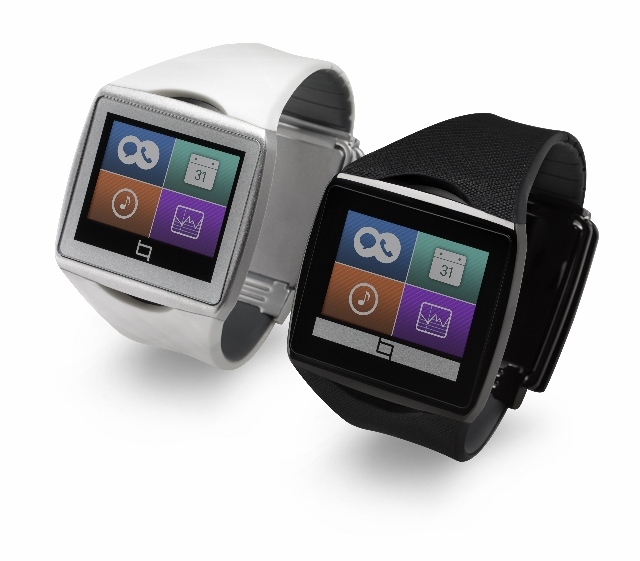 Jain said, “we spent a lot of time thinking about if and how to put a lock on the Qualcomm Toq watch. We decided that we would tie it to the mobile device.” In other words, if the watch was not close to the devise you couldn’t access some of the features on the watch. As far as the data the discussion turned to where the data is stored; in the cloud or on the device. Some of the questions from the crowd were about what other industries could surround this wearable technology and design came up as one of the key industries that was of high importance to wearables. As the panel wrapped up, it was time to grab some Mexican food and get home for some rest so I could surf early in the morning. Yes, that’s what we do in San Diego – make amazing products and enjoy where we live. Don’t tell anyone. It’s a secret.